A desire to provide DX’peditions a “One Stop Shop” QSL Management, QSL Design and high quality professional printing. All in one! United Radio QSL Bureau was started in 2007 by Max ON5UR and Tim M0URX to provide a one stop shop for all QSLing services. Here are a few of the services that we provide. ON5UR as part of this, sourced and designed a “DXpedition & Contest QSL” in runs of 1k+ cards where the design, card and print quality are better than what is on the market! M0URX, M0SDV & M0OXO offer a full free QSL manager service to all DXpedition, IOTA and rare DXCC stations, Contest Stations are charged only for the first print run of cards, the same for NON DX stations. 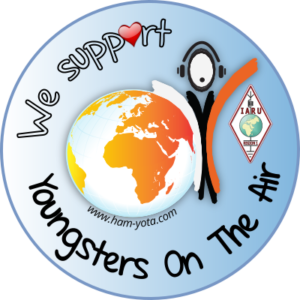 We also offers an online posting service for all UK QSL Managers. This service gives up to 70% discount on stamp prices and is essential that DXpediitons make the most of this service. For example on larger mailings of 1.5 kg to a country, 15g letters to the USA could be sent for as little as 32p using Priority Air Mail. United Radio Together provide an Outgoing QSL Bureau going to all IARU Bureau every 4 months. February, June and October.